One of the most elusive terms in fragrance terminology appears to be -according to readers' comments- "resinous" and "balsamic", as relating to perfumes. The raw materials falling under the umbrella of resins and balsams are among the most ancient components of perfumes, often the basis of the Oriental family of scents and lending their soothing opulence and depth to other families, such as the Chypres. They make their appearence known in any category though: florals, fougères, hesperidics also benefit from a touch here and there. 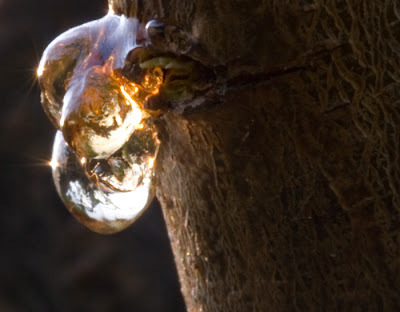 The distinction between resin and balsam is one of form, on a fundamental level: Simply put and generalising, resinous materials come in the form of solidified, gum-like "tears" seeping from the elixir vitae circulating into the bark of big trees, such as the Boswellia Carteri (which produces frankincense). Balsams on the other hand are trickly materials, not necessarily tree secretions, often coming as they do from flower pods or bushy twigs (such as vanilla orchids or the Mediterranean rockrose). But there are exceptions to every rule: Opopanax, though resinous smelling itself, actually comes from a herb, opopanax chironium. So the real focus when referencing balsamic and resinous terminology is how the materials actually smell and how they're different or common in scent, rather than what their origin is. Therefore, for ease, resinous & balsamic materials are classified into 3 distinct olfactory profiles according to their aromatic properties first and foremost. cistus labdanum (leathery, ambery, deep, coming from the rockrose bush and traditionally harvested from the hairs of goats who had grazed on the rockrose). These materials have a gentle tone, while at the same time they're softly enveloping and have a pronounced character. They fix flowers into lasting longer and thanks to their properties when used in large quantities produce the semi-Orientals or the florientals (in conjunction with rich floral essences). A great example of a fragrance featuring copious amounts of Tolu balsam is Tolu perfume by Ormonde Jayne. The opulence of the balsamic note mollifies the rest of the composition, giving the golden sheen of a multi-faceted citrine. Tolu also makes floral notes more candied: in Fracas by Piguet it acts on the tuberose, on Gold by Donna Karan it enhances the ambery lily. Compare and contrast with the balsamic base of Guerlain's Vol de Nuit which features a generous helping of Peru balsam; the oriental accord gives it its opulence under the green top note. In Ambre Sultan by Lutens, Peru balsam pairs with its traditional counterpart, an oriental amber accord. Elixir des Merveilles is another one which features balsam of Peru for its sweetly grounding qualities. For labdanum, grab Donna Karan Labdanum, L'Air du desert Marocain by Andy Tauer, La Labo Labdanum 18 or Madame X by Ava Luxe: they're full of it. The purest incarnation of benzoin in non gum form is Papier d'Armenie, the traditional scented little papers in a cute notebook, which burnt produce a clearing, anti-microbial atmosphere to one's home. Short of that, if you don't travel to Europe often, you can get a sample of Bois d'Armenie by Guerlain, or Prada Candy. Benzoin is very versatile spanning the fragrance families from citrus to woods and florals and its heft is therefore used frequently as it complements the other notes beautifully. Chanel's Coromandel fuses the vanilla-cinnamon notes of benzoin with a white chocolate note to render a delicious and sophisticated gourmand fragrance. Both benzoin and Tolu balsam make up the surprisingly monastic backdrop of Bal a Versailles by Jean Desprez, allied to the austerity of cedar. 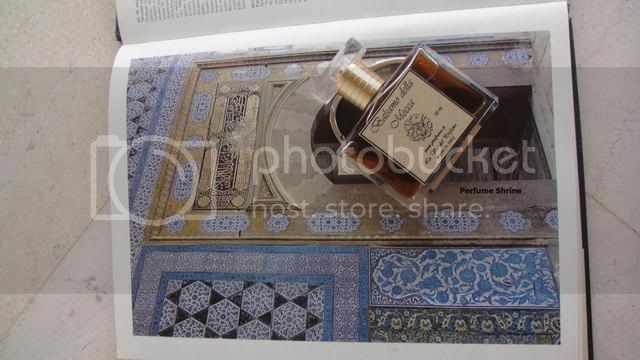 If you are seeking a lush balsamic composition with multi-nuanced orientalia, seek no further than Mecca Balsam by La via del Profumo; it features labdanum, real oud and franckincense as well, so it's a composite that allows one to see how categories can be combined. Vanillic fragrances are of course widely understood by everyone, so another article of a different scope, focusing on their merits and faults, is in order. Valued since antiquity, resins have been widely used in incense and perfumery. Highly fragrant and antiseptic resins and resin-containing perfumes have been used by many cultures as medicines for a large variety of ailments. It's no coincidence that the three Magi gave baby Jesus the gifts of Frankincense, Myrrh and Gold. Traditionally used to make incense (King Solomon regarded opoponax as the noblest incense gum), even nowadays in the Middle East and the Mediterranean basin frankincense and myrrh "tears" are the incense par excellence still. These materials are deeper, with a lingering trail which adds originality and projection to a composition. Since they themselves typically come from the bark of trees in the form of crystalised resin "tears", they pair very well with woody scents. If you want to get a taste of how some of the more "esoteric" of these smell, , say opoponax grab yourself the Diptyque Opopanax scent in either room spray or candle, as well as their Myrrh candle. They provide the scent in isolation. The iconic Shalimar as well as the masculine counterpart Habit Rouge owe their "flou" hazy effect in opoponax allied to orange blossom. For myrrh, Myrrhe Ardente in Les Orientalistes line by Annick Goutal and La Myrrhe by Serge Lutens provide two nuanced and quite different "readings" of the myrrh gum in complex compositions. Athonite frankincense in the black variety is pure frankincense/olibanum gum (it's pliable when you rub it, like chewing gum), rising in clean, citrusy-smoky ringlets on the air; I burn it on small coal tablets regularly. There are many frankincense fragrances in the niche market, the truer perhaps being Avignon by Comme des Garcons, but the whole Incense Series is to be explored for the truly interested perfume lover. Tauer's Incense Extrême is a good starting place for frankincense variants, based as it is on the Boswellia serrata (Indian incense) at a 25% concentration. Birch tar is easily detected in compositions of the Cuir de Russie type (from Chanel Cuir de Russie to Piver's and Guerlain Cuir de Russie). This is also a material that can be classified in the sub-group of phenolic smells. It is pungent and dark. Elemi is often used in masculine blends to give at the same time cooling piquancy and warmth thanks to its peppery top note: try Gucci by Gucci, notice the top note of L'Instant pour Homme (Guerlain) and the unique Eau de Naphe by Comptoir Sud Pacifique. For styrax, remember that the resin has a leathery facet with incense tonalities (and has been an important supporting player in "Cuir de Russie" compositions, such as Chanel's). 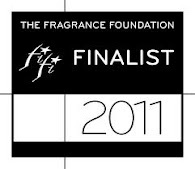 Notice it in the drydown of Carven's Ma Griffe, in Poivre 23 by Le Labo and in No.11 Cuir Styrax by Prada. 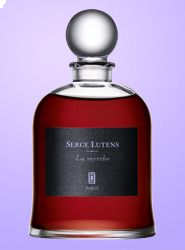 Lutens uses it beautifully in several of his scents, notably in the base note of Tubereuse Criminelle and Cuir Mauresque. Nota bene that even though fir, pine and copal essences come from coniferous trees themselves, I am not including them in the resinous and balsamic classification as they're really terpenic-smelling (a perfume definition to be elaborated on in a subsequent article). 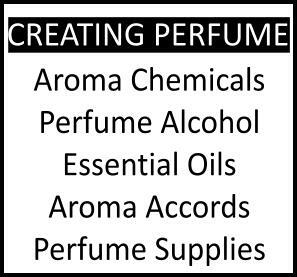 There is also a sub-set of powdery balsamic smelling ingredients which do not come in resin or balsam form, therefore they are not classified into this category via origin at all, but rather via their scent profile alone. This includes: orris root (the Iris Pallida rhizome and also the synthetic irones-rich reproductions), several musks of synthetic origin, and carrot seed oil (which can give an orris scent in itself). Amber mixes (refer to what amber is and its difference from ambergris on this link) can also be powdery balsamic smelling: the inclusion of benzoin (which gives a sweetish, baby talc note) and vanilla in the mix of ingredients in amber is the culprit. In French terminology/classification of orientalised perfumes they're refered to as "parfums ambrés" (even when not entirely focused on amber). For instance Obsession, the original Magie Noire (not the reformulated which is greener, more chypre) or Moschino by Moschino (again the original from 1987) are examples of perfumes "ambrés". It is important NOT to confuse between a balsamic/ambery powdery ambience (which is typically sweeter) and one which is powdery/dry (such as in Aromatics Elixir, Ma Griffe, Flower by Kenzo, DK Cashmere Mist): the two terms though very close are not interchangeable. Wonderful information, E. Thanks! I'm bookmarking this article. I love these articles, thank you for all you hard work and research. Your blog is great. Thank you! I have always had trouble with "balsamic". Thank you for this article wich features some of my favorite notes! OJ Tolu and L'Air desert Marocain are among my favorites, also Andy Tauer Incense Extreme wich contains a lot of Franciscense if I remember correctly? Wonderful explanation on the subject Elena. Much appreciated. Ambery, sweet, balsamic orientals have always been my favorite type of perfumes. I remember wearing Obsession profusely in my teenage years and can't take myself away from loving Shalimar and now, vintage Emeraude. Thank you for writing this, Elena. I've always been confused on resins, and this clears things up beautifully. glad it's proven popular. Thanks for commenting! thanks, you're too kind to say so! Hope they help to some degree. you were not alone! I hope this clears up some things. you're welcome and thanks for commenting. Indeed I included Incense Extreme as a spin on the frankincense; it features Boswellia serrata, not Boswellia carteri, which is an interesting variant. It's a very densely incense scent and I love it! thanks, I appreciate that you included your favourites in that category as well. Emeraude used to be a marvel. you're most welcome! Lots of people weren't clear on that subject. thanks, I think organisation is important on many levels. Amyris elemifera is indeed including elemi in its name, but I believe it is not used in perfumery (but rather in honey apiculture). Does this help? 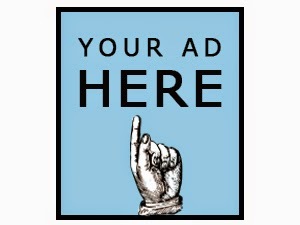 I'd trust Biolandes not to sell something that isn't what it purports to be. It's a very acclaimed supplier and one which supplies top notch perfumeries/perfumers. Amyris (balsamifera) wood from which amyris essential oil is produced is called West Indian sandalwood because it smells a bit like sandalwood. It's popular in soap making. Does your oil smell like sandalwood? I don't know your source and can't pronounce judgement obviously. I'm not surprised though that it's not close, every manufacturer has several grades of whatever and not all suppliers get the same grade. I believe the citrusier version might be the more genuine-smelling one, the dill seed is closer to the pine needles feel I was describing. Have you tried the men's L'Instant? Or Eau de Naphe (CSP)? They give quite a feel for this material. That's all I can help short of actually smelling the oils themselves. Fascinating and informative. Especially the info on cistus labdanum. your saying so is much appreciated. Glad you enjoyed! There's a whole perfumery raw materials article devoted to cistus labdanum, if you haven't caught it on these pages. I also love these articles. Can I ask if birch tar is something I might be able to find in my firewood before I burn it? Does it form resinous beads like frankincense and myrhh? If so, I will put on some gloves and go hunt through my firewood - which is about half birch this year. the birch has to be actually "cooked" over fire in a big pan to produce the tar. It's not a resin in the form of tears, more like the effect of fire on organic matter. The tar is then manipulated of course. and Feminite du Bois Shiseido are also resineous and different perfumes. A have learnt a great deal from reading this piece. Thank you, Elena!